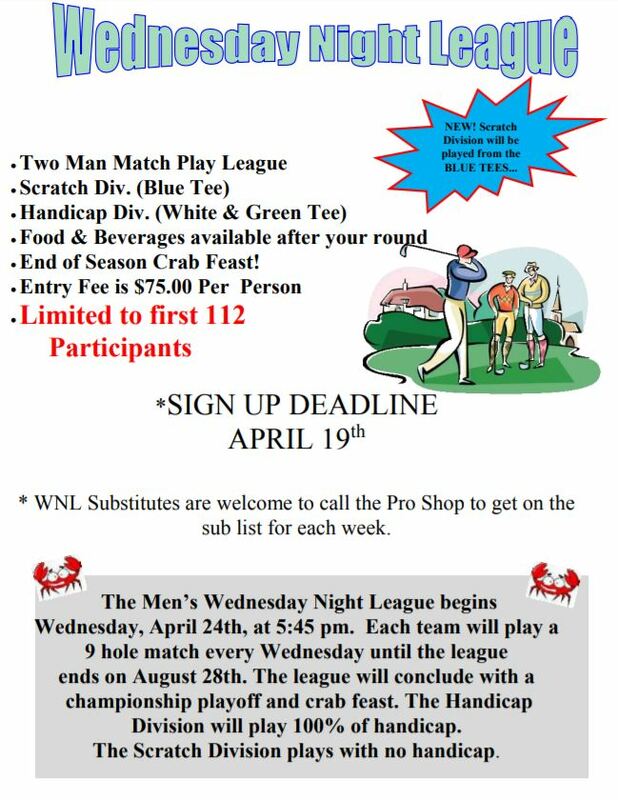 The Wednesday Night League is set to begin on Wednesday, April 24th. Before matches begin we will be announcing the 2019 details and rules so please prepare to show up around 5:15 pm. Remember, daylight is limited for the first few Wednesdays so announcements will be brief. The Scratch Division will be playing from the Blue Tees and the two Handicap Divisions will be playing from either the White Tees or the Green Tees. 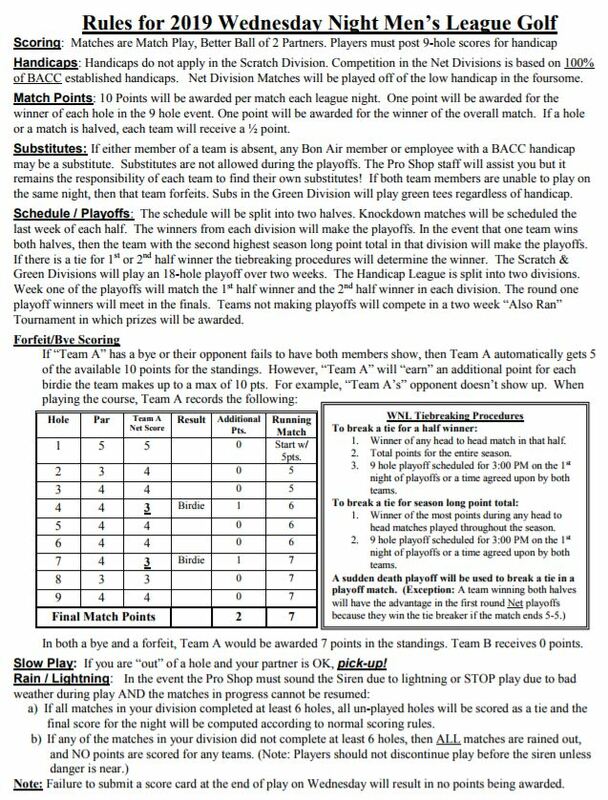 Please see the flier below for more details and League Rules. Call the Pro Shop to sign-up or swing by the Men’s 19th Hole.